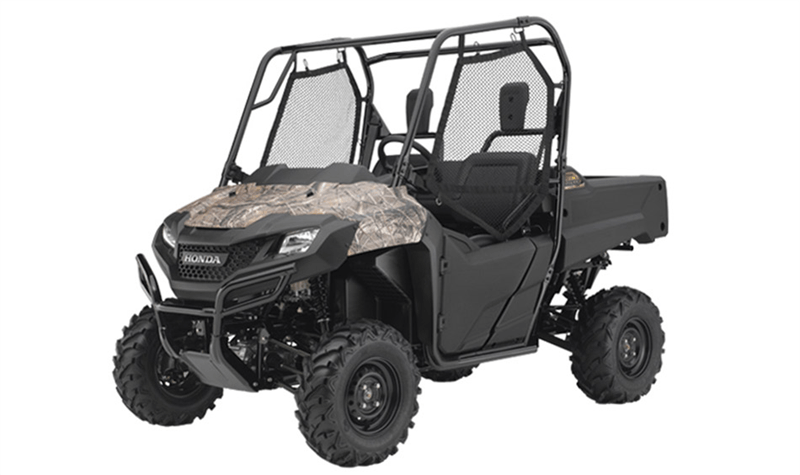 The Pioneer 700 is available in Red, Olive and our proprietary Honda Phantom Camo®, designed to blend in and work in a large variety of locations and terrain. 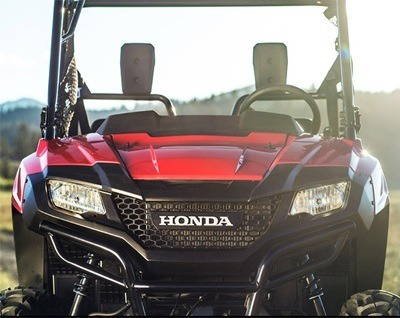 Featuring well thought-out details like a standard water-resistant glovebox door, cupholders, and digital instrumentation, this is a vehicle that gives you a lot more for your hard-earned dollar. 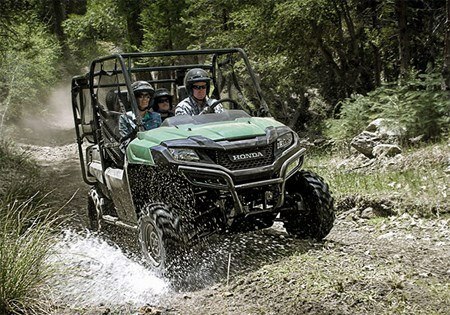 We built the Pioneer 700 Occupant Protection Structure around the rider and front-seat passenger, and positioned the seats so you're well protected. 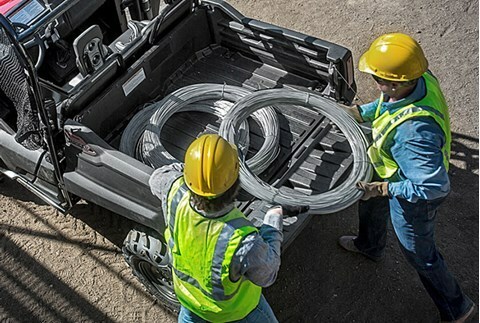 Built out of sturdy, large diameter tubing, the Occupant Protection Structure includes such details as integrated handholds, recessed top tubes and a more spacious structure to enhance protection. It also meets OSHA's 1928.53 rollover protection standard. The Pioneer 700 comes standard with roll-up side nets, making cleaning and maintenance easier. 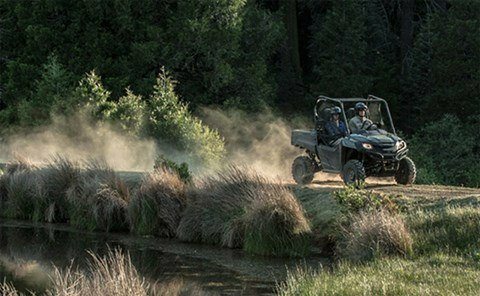 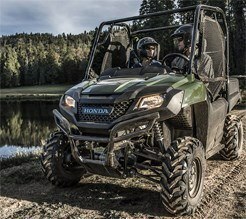 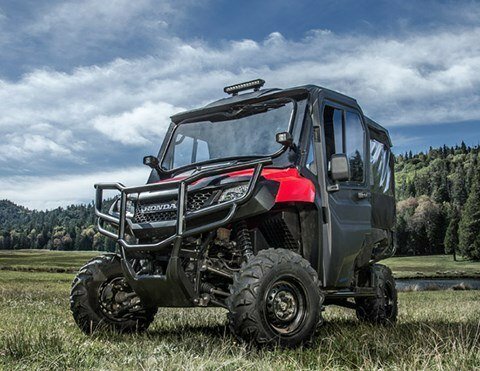 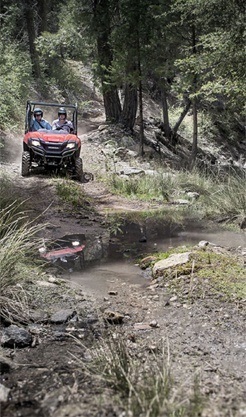 The Pioneer 700 is maneuverable, as shown by its tight turning radius, a big help if you’re in tight, technical terrain.